In Manhattan Christmas is Done Big! New York City is known for being a little over-the-top. The Big Apple tends to make everything larger than than life. 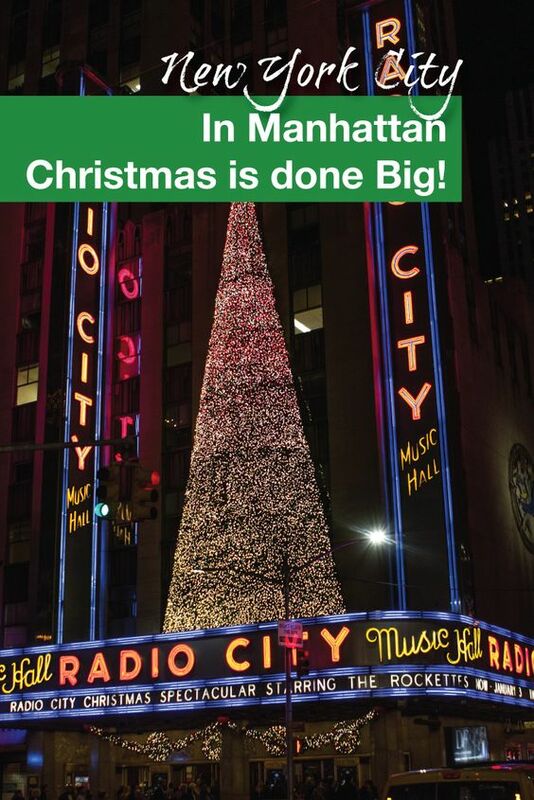 The holidays are no different and in Manhattan Christmas is done big! We recently took a trip down to NYC to visit some family for American Thanksgiving and decided to spend a couple of days taking in the sites tourist style. If you love lights, sounds, food and excitement around the holidays, then here are a few things that we saw that we are sure you would love. 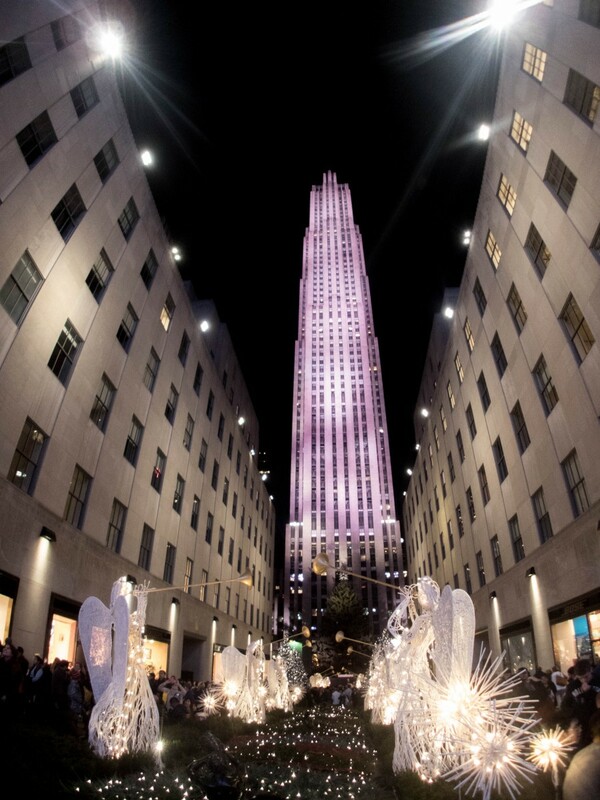 Rockefeller Center (50th st. and Fifth Avenue) is synonymous with Christmas in New York, a truly iconic location made famous in movies such as Home Alone. This iconic destination features the lighting of an 80 ft. tall Christmas tree in the first week of December with over 30,000 lights. 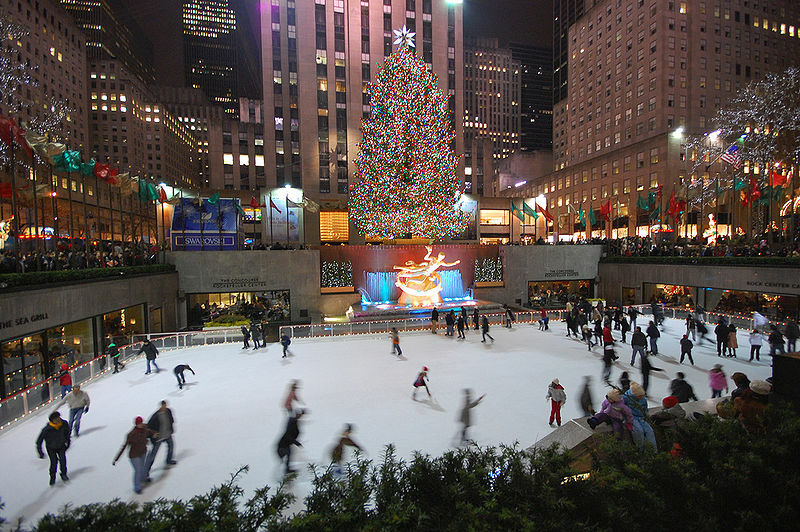 The famous tree overlooks the beautiful Rockefeller skating rink where those interested can rent skates and spend a couple of hours spinning, skating and falling on the legendary ice surface. Ice time isn’t cheap here, but nothing really is in NYC. Adults pay $25-$125 depending on the package and date you choose, children 11 and under start at $15 plus a skate rental of $12 (because you don’t want to haul your skates all through Manhattan). Skate times book up quick, so if you want to go, I’d advise making reservations ahead of time. If you want to skate, but are on a budget, you can skate for free (skate and locker rentals are extra) at Bryant Park’s 170 x 100 ft rink. Wrestle your way through the crowds of shoppers on 5th avenue and discover the incredible window displays at stores such as Macy’s and Saks Fifth avenue (5th ave between 39th and 60th st) where the retail outlets compete each year in a game of one-upmanship to create the most incredible light and sound shows to dress up their windows. Be sure to come by after the sun goes down to see the spectacular light shows that often take up the entire side of some of these huge buildings. When we say that in Manhattan, Christmas is done big, nothing quite sums that up as much as on the Avenue of the Americas. It seems like every tree is lit up to excess and every fountain is adorned with jumbo Christmas lights. Personally, we enjoyed inhaling the delicious Halal Guys food while sitting on the edge of a fountain adorned with 10 ft tall Christmas ornaments. Dominique Ansel, how we love you so. You have brought the world such delicacies as the Cronut (an unholy cross between a croissant and a donut in all it’s deep fried deliciousness) and Cookie Shots (chocolate chip cookies shaped into shot glasses, lined inside with chocolate and filled with Dominique Ansel’s custom vanilla milk). Personally though, I would skip all that (as well as the line that is strictly for cookie-shot buyers) and go straight for the to-die-for Frozen S’mores. 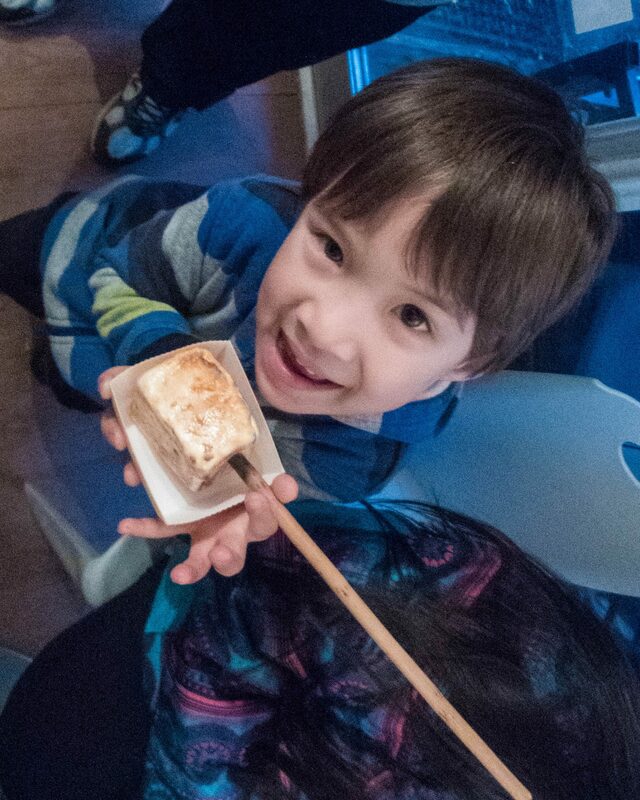 Frozen S’mores are a ball of vanilla ice cream covered in crispy graham crumbs and coated with delicious chocolate, all wrapped in up a flame-seared marshmallow square and served up traditionally on a stick. I’m not lying here when I say that this may be the best thing that has ever been in my mouth. Like we said, In Manhattan Christmas is done big! This is just a few of the myriad of amazing, succulent and incredible destinations and attractions in Manhattan. 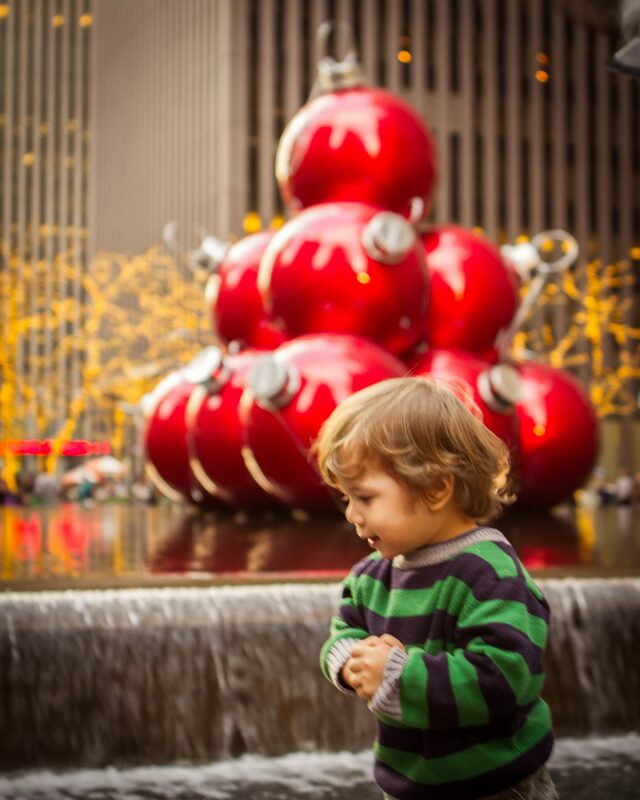 We would love to know what your favourite thing to do in Manhattan at Christmas time is. Leave your comments below! 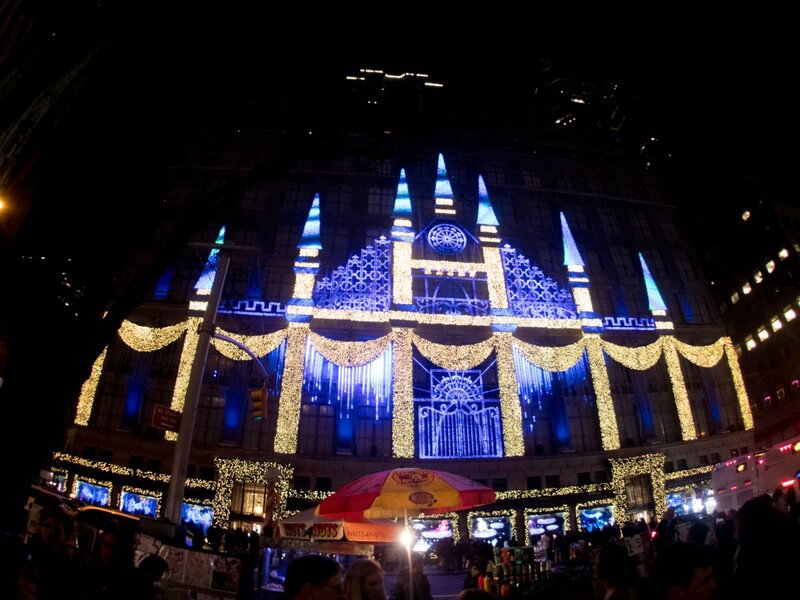 Would love to celebrate Christmas in Manhattan, shop at the 5th Avenue, and treasure some melting moments at the Dominique Ansel Bakery.